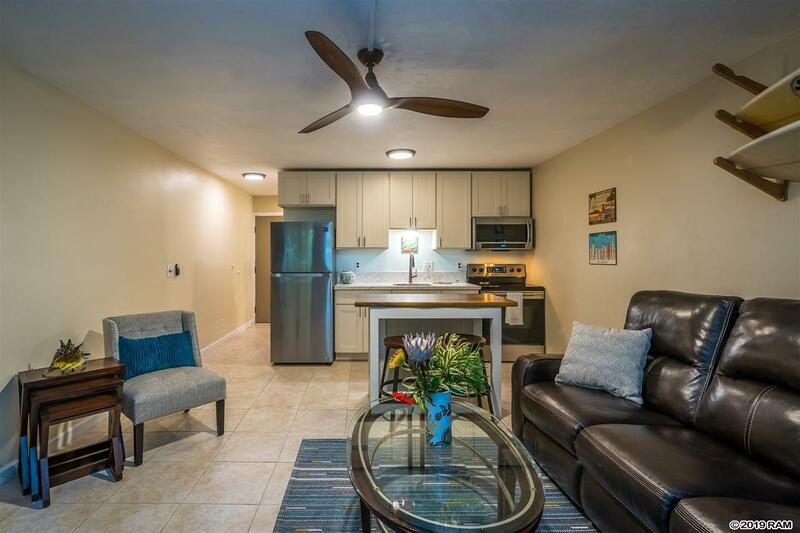 Live the Maui beach life in this cozy remodeled 1 bedroom/1 bath condo at Bay Vista Apartments. 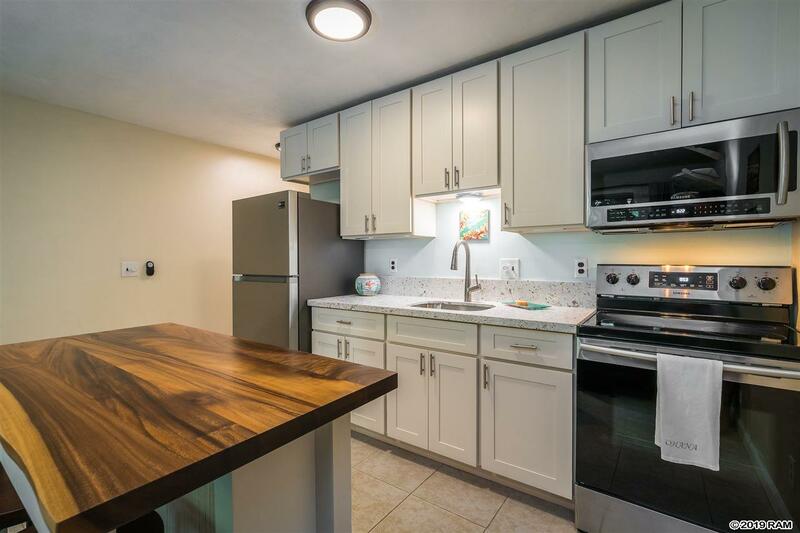 Super convenient South Kihei location just up the street from popular Charley Young Beach and Cove Beach Park. 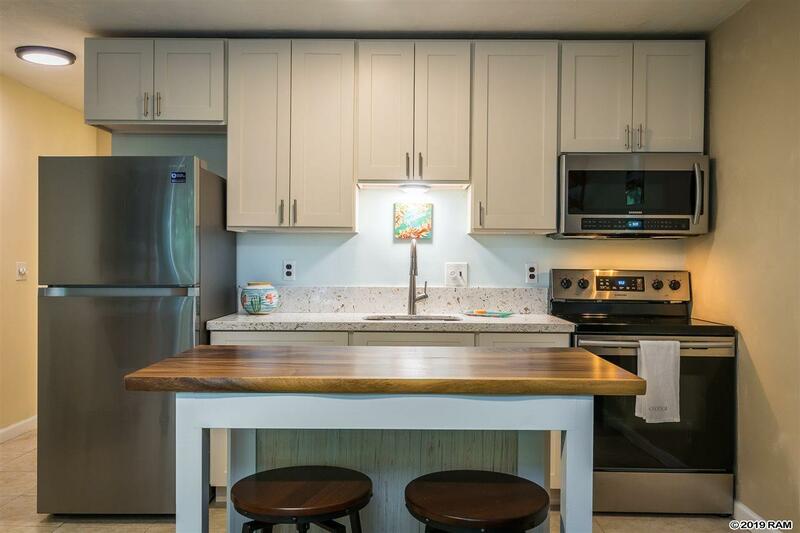 This condo was recently renovated with new kitchen cabinets, appliances and quartz counter. The bath has gorgeous tile and the condo was painted a fresh light color. Tile flooring through the condo is perfect for keeping cool. 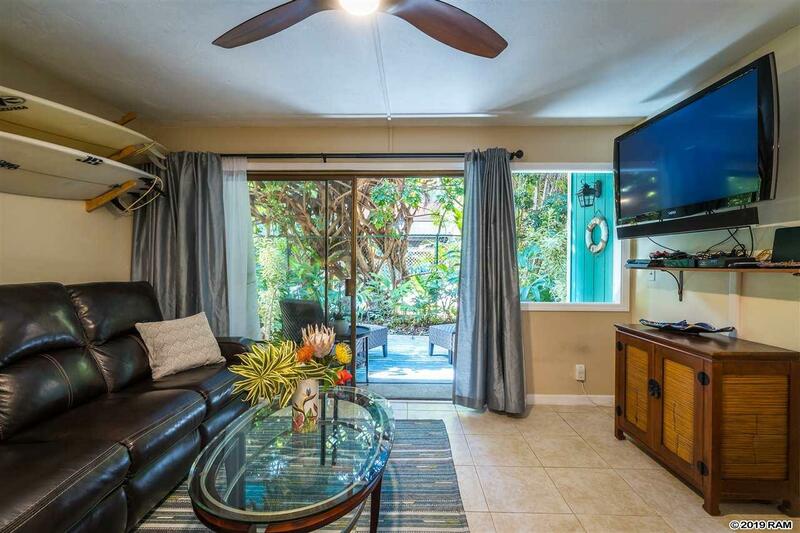 There is a lovely shade lanai off the living area that also has room for entertaining and storage. The condo has a large yard in the back perfect for gatherings and under cover parking for one car and on street also available. Washer/dryer is in the unit.